A single user licence is intended for use by one person only. The purchaser may be a teacher who is using the music for ONE student or a student who buys the music for their own use. Files must not be copied or shared. What is a Studio Licence? A studio licence is purchased by a teacher to be used within their own studio. This licence allows the teacher to make unlimited copies for their own students. Files may not be shared with other teachers in joint or separate studios. Cover illustrations for all sheet music solos by Alyssa Unger. Peaceful and melancholy. Students who love minor melodies are sure to fall in love with this one. Lyrical RH with flowing LH accompaniment. 3 pages. To listen to Heartache​, click here. To view a sample page, click here. Life is full of change. The world is a wonderful place, but it can be frightening, too. Even “simple” transitions bring with them a measure of stress and uncertainty. This piece was inspired by the story of a dangerous river crossing that required strength and courage. Wishing you strength and courage, too, for whatever crossing you are facing. 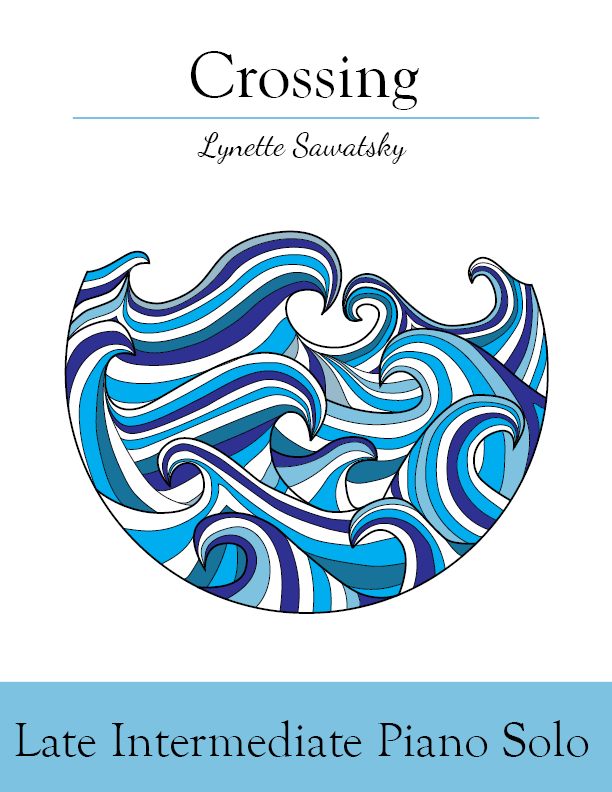 Crossing includes turbulent 16th note passages and majestic chords. Students will be motivated and inspired by the picturesque composing in this piece. 3 pages. Listen to Crossing by clicking here. This piece begins with a timid but hopeful melody and switches to a more determined motif as the music unfolds. Thoughtful and evocative. Perfect recital and performance repertoire for the early intermediate player. 3 pages. 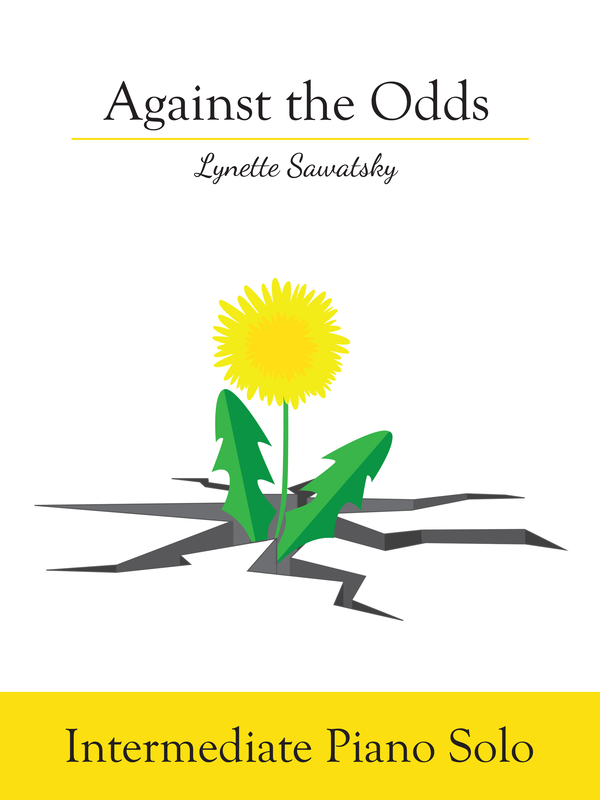 To listen to Against the Odds​, click here. Celebratory chimes open this piece, written to commemorate a special wedding day. Promises includes bold chords, interesting harmonic progressions, fluid 16th LH accompaniment, and a wistful RH melody with crossovers. A captivating performance piece that students and audiences will enjoy. Dedicated to Mikaela and Riley at the start of a grand new adventure. 4 pages. 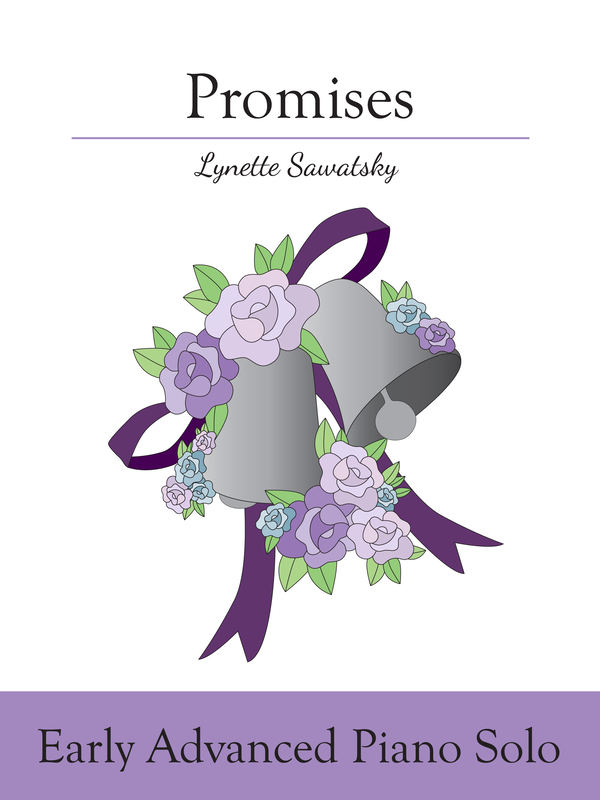 To listen to Promises, click here. ​To view a sample page, click here. I love walking along the river trails near my home. The beautiful scenery and quiet time is good for my soul. This summer I have gone for many walks with family members and friends, and there is something special about the uninterrupted conversations that occur along the pathway. I am fortunate to live in a beautiful city where there are miles of trails waiting to be enjoyed. If only summer lasted forever! Carefree and tender, students will enjoy playing River Walk. Dedicated to one of my favourite walking partners, Shaelynne. 3 pages. To listen to River Walk​, click here. Sometimes life seems to dish out more than a fair share of unsatisfying circumstances. Pain is inevitable. Changes can occur suddenly. Many things seem unfair and difficult to resolve. But some of the hardest things that happen end up being blessings in disguise. 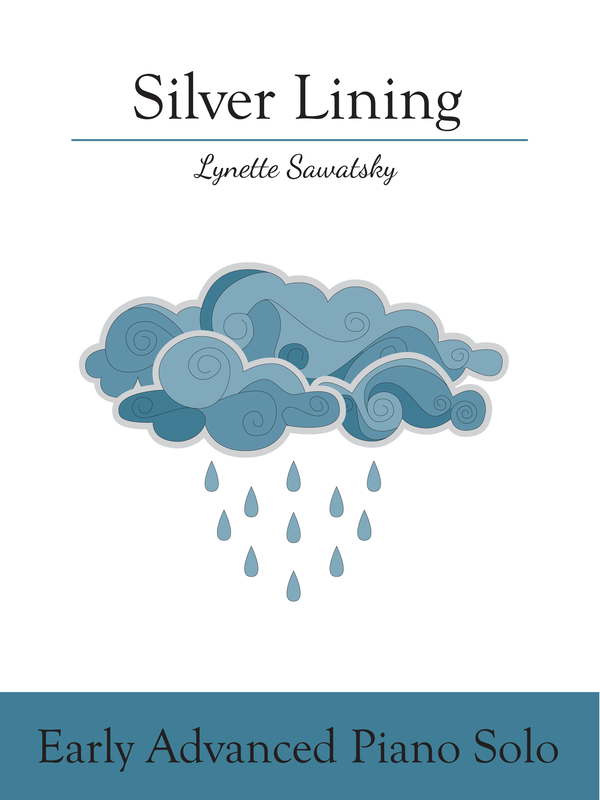 Wishing you silver linings mixed with whatever trying circumstances you may be facing. This piece is reflective and hopeful and will be enjoyed by students who love imaginative musical storytelling. Dedicated to Quin, who knows that light is stronger than darkness and that the storm never lasts forever. 4 pages. To listen to Silver Lining, click here. This piece is meant to be taught by rote to beginner students. Played on all black keys, the tune opens with a bird call motif. Simple words make the rhythms easy to learn. The optional duet accompaniment adds beauty and helps the student keep a steady beat with the duet partner. Solo is 2 pages. Total of 4 pages with accompaniment. To listen to First Ray of Sun as a duet, click here. To hear First Ray of Sun​ as a solo, click here. To view a sample page of the solo, click here. To view a sample page of the accompaniment, click here. Star Light, Star Bright is a gentle lullaby that is sure to delight young students. This tune includes skips and steps and is perfect for working on legato touch. Dedicated to my sweet grand daughter, Mariana, who has captured my heart. Lovely on its own, Star Light, Star Bright is even more captivating with the optional duet accompaniment. Be sure to try it! Solo is 2 pages. Total of 4 pages with accompaniment. To listen to Star Light, Star Bright as a duet, click here. To listen to Star Light, Star Bright​ as a solo, click here. To view a sample of the solo, click here. To view a sample of the accompaniment, click here. This hymn was written in 1841 by Sarah Flower Adams, who based the text on the story of Jacob found in Genesis 28. Sarah's sister Eliza soon wrote a tune for the words, but Lowell Mason's melody is the one most commonly used today. Survivors of the Titanic say that this was the last piece played by the string quartet as the ship sank into icy waters. Meditative and reflective. 4 pages. To listen to Nearer, my God, to Thee​, click here. Folliott Pierpoint wrote the words for this hymn of praise in 1864. Melody by Conrad Kocher. 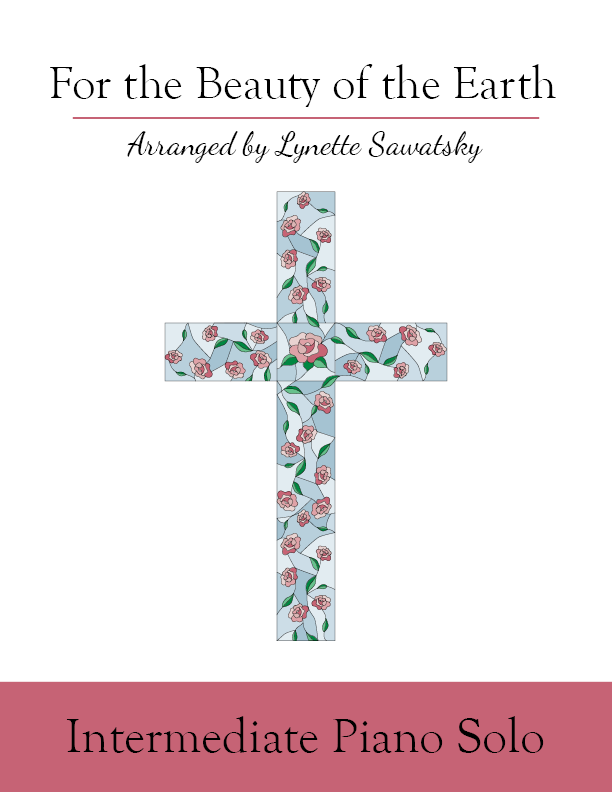 This arrangement is written in G major and includes three verses. Lyrical and hymnlike, with some new approaches to harmonies. 4 pages. To listen to For the Beauty of the Earth, click here. 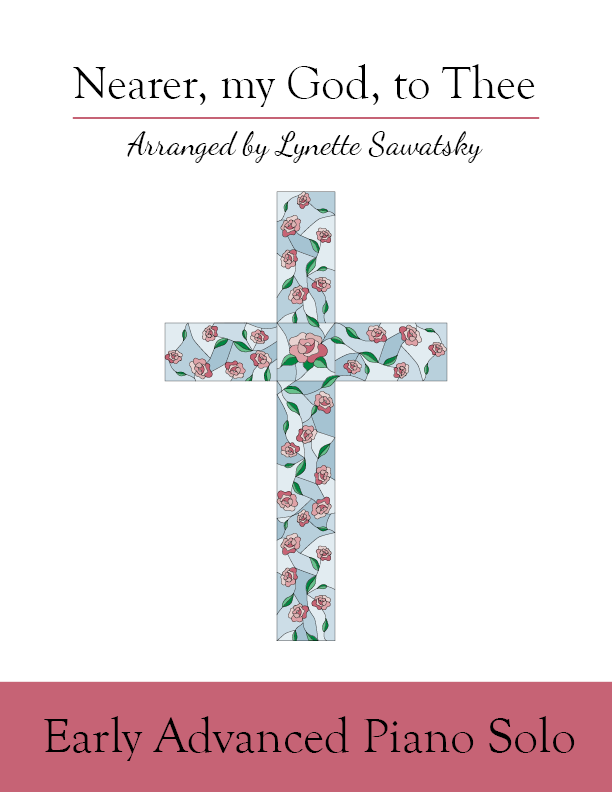 ​Lina Sandell, who wrote more than 600 hymns, penned the words to this hymn after a tragedy in which her father drowned. Lina's faith helped her get through the grief of losing her father. Set to a traditional Swedish melody, this tune is widely recognized. The first two verses are in C major with a key change to D major for the final verse. 3 pages. 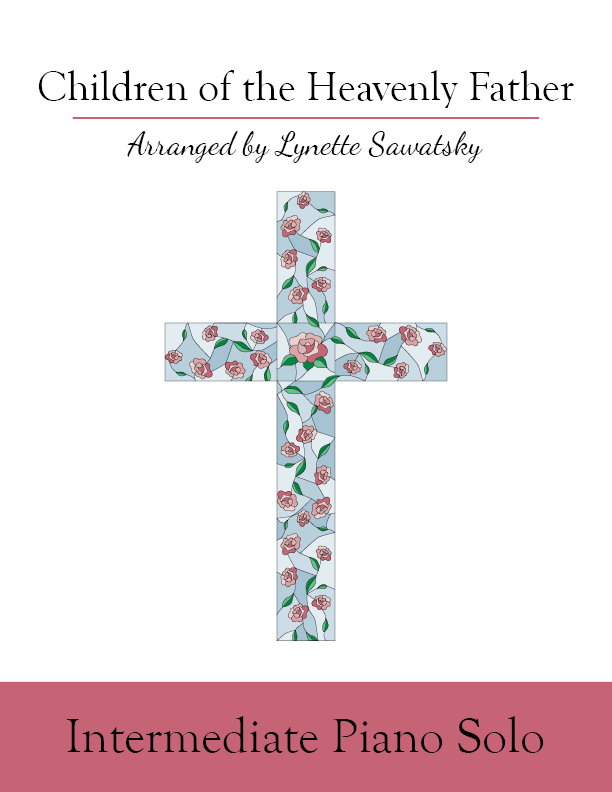 To listen to Children of the Heavenly Father, click here. 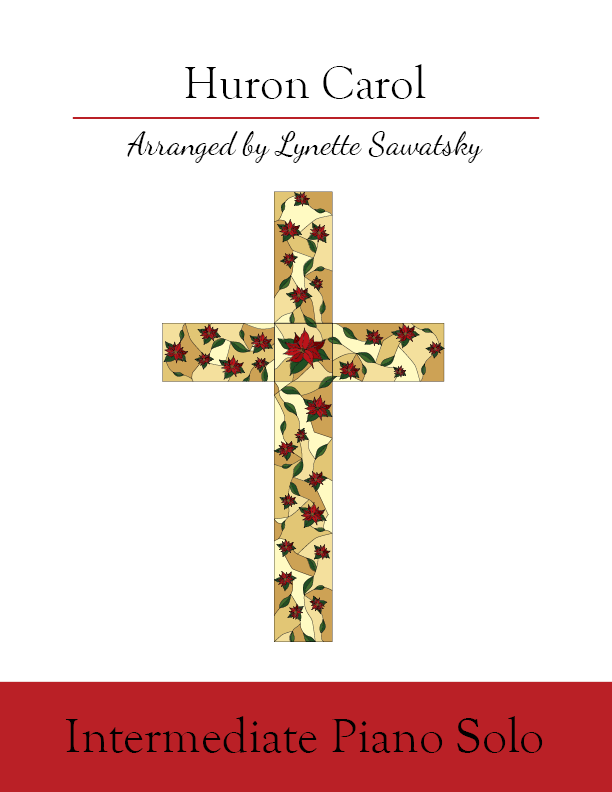 One of the most well known children's Christmas carols, this is a simple but beautiful arrangement. LH uses mostly 5ths (solid and broken) to make this an easy-to-play tune that's perfect for the holiday season. C major. 3 pages. 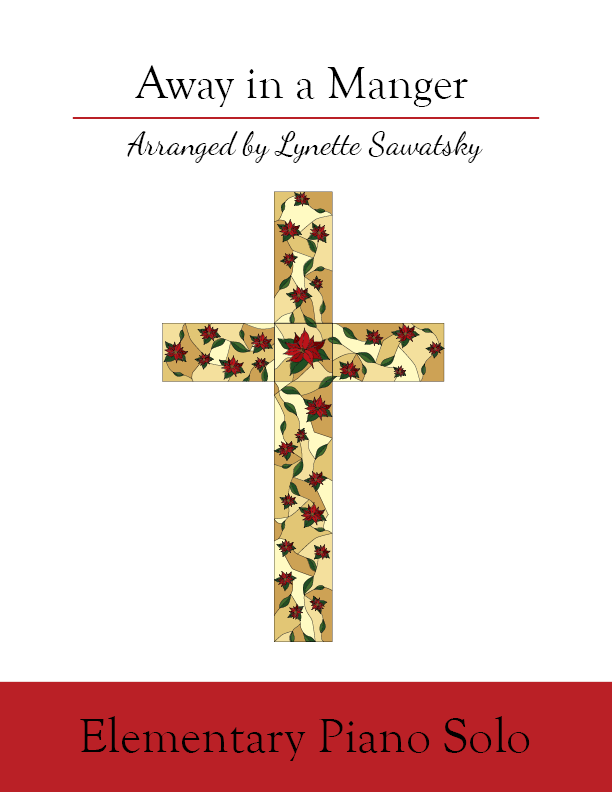 To listen to Away in a Manger​, click here. The words for this Canadian Christmas carol were written in 1642 in the Wyandot language (Huron) by Jean de Brebeuf. It was translated into English in 1926. 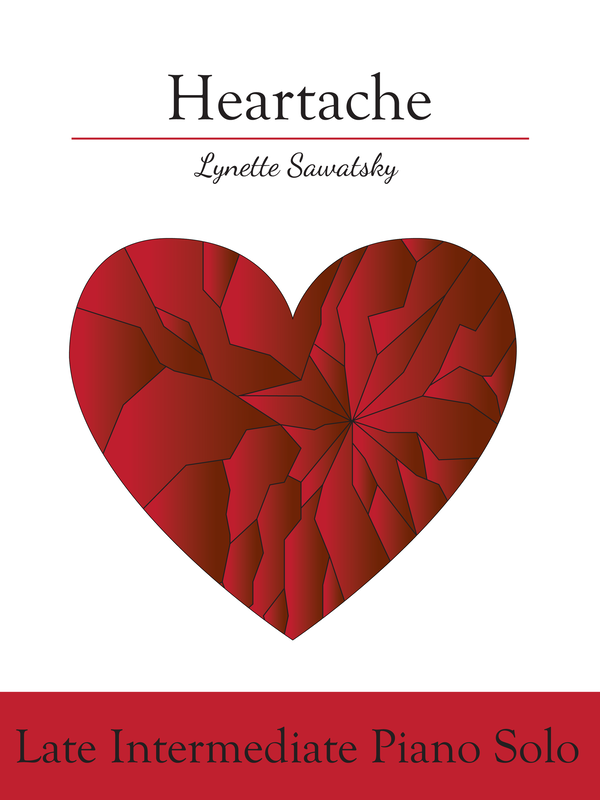 Set to a French Canadian melody, this arrangement is unhurried and tranquil. 3 pages. To listen to Huron Carol​, click here.